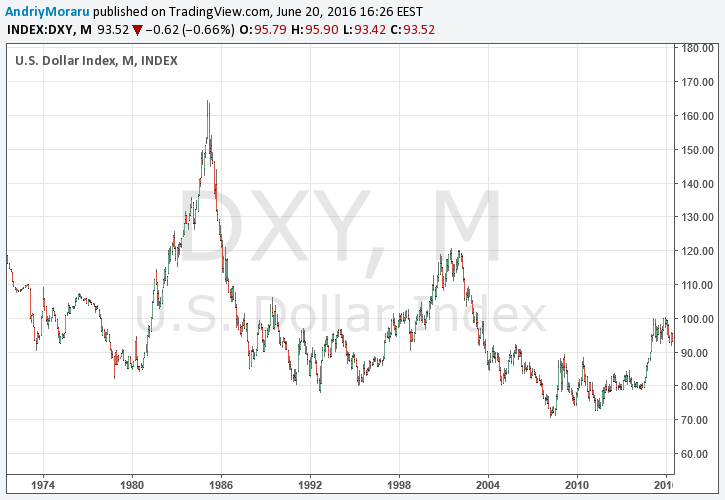 Is the Fall of the US Dollar Inevitable? 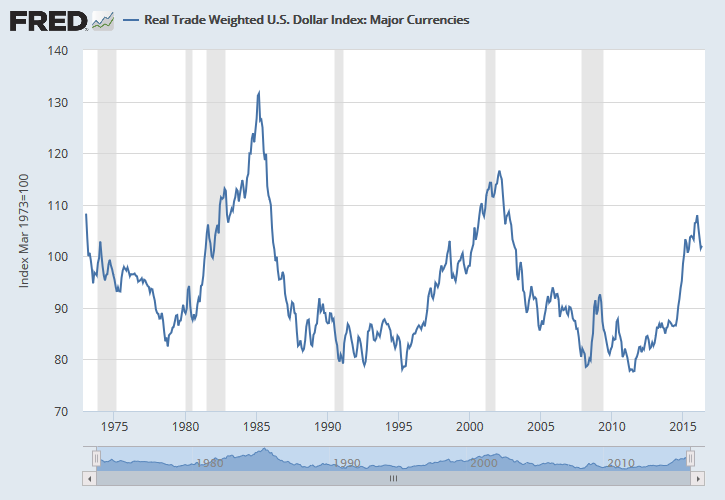 The goal of this article is to study the likelihood of the long-term US dollar depreciation vs. its major counterparts in the coming years. I presume the status of the US dollar as the global reserve currency (international currency) to be unchanged in the near future and I base my research and conclusion on the the strengths and weaknesses pertinent to the USD due to such status. 2 What Does the Data Tell Us? 3 What Causes Dollar to Depreciate? 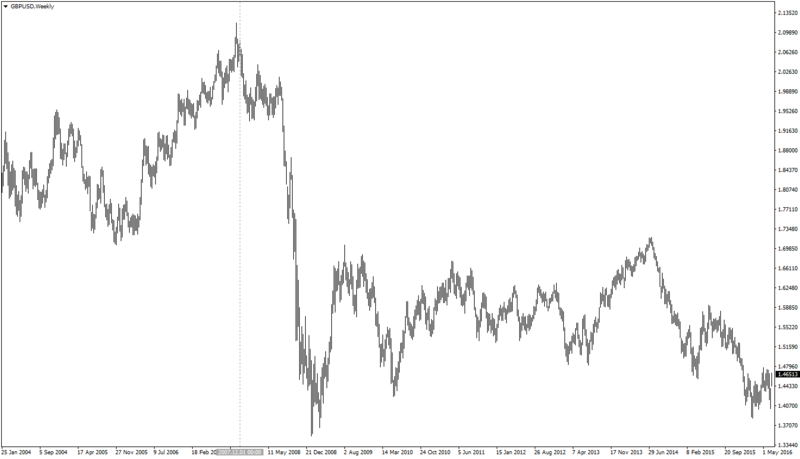 4 Can Traders Expect the Pattern to Continue? 5 How to Trade Such Expectations? 6 What Are Analysts Telling? 7 What Is Your Opinion? Another question I explore is what can traders do to monetize the answer to the titular question of this blog post if such an answer can be found with satisfying accuracy. Is there a long-term trading strategy that can bring profit based on the assumption of the dollar’s fall or on the assumption of lack of such a fall. It does not look like the dollar is getting weaker now. However, the multi-year history of the US currency tells a different story. You can read more about how the indexes are calculated in the article by Fed’s Mico Loretan: Indexes of the Foreign Exchange Value of the Dollar. What Causes Dollar to Depreciate? The US dollar is the dominant reserve currency since mid 20th century. One of the notable features of the global reserve currency is the fact that the issuing country has to provide liquidity to other countries. 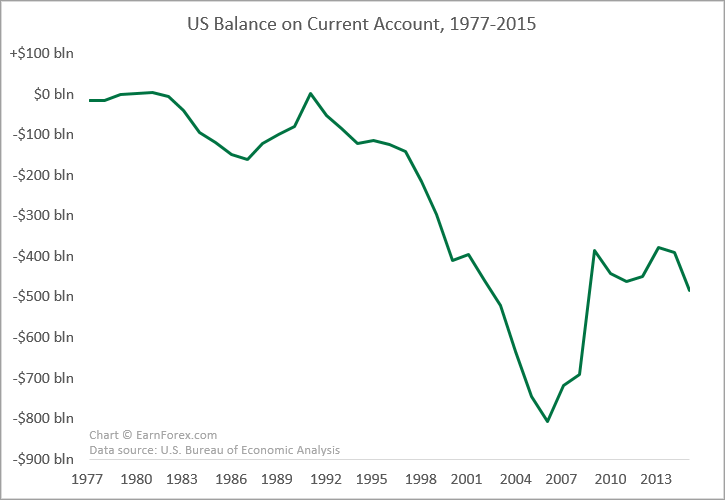 This leads to deficits in the issuer’s balance of payments — current account deficit and/or trade balance deficit. The increased deficits lead to decline in the currency’s attractiveness due to growing debt of the issuer and its perceived macroeconomic weakness. This causes the reserve currency to fall against its peers. The fall continues until the positive factors start to outweigh the negative ones. For example, a global crisis would see an increase in demand for the global reserve currency. At the same time, depreciated currency would strength the economic well-being of the issuing country due to improved exports competitiveness. Eventually, this would lead to another growth way based on an increased demand. However, the overall scheme remains unchanged — the country issuing a global reserve currency would have to continue increasing its deficits in order to provide the necessary liquidity. Which would eventually trigger the vicious cycle over and over. As can be seen on the charts above, the US dollar suffered at least three such cycles since 1970s. And it looks like currently, we are at the peak of the growth part of the third cycle. Can Traders Expect the Pattern to Continue? If we assume that the US dollar is going to retain its role as the global reserve currency, it would also be prudent to assume that the currency will resume its behavior pattern in the Forex market. It would mean a downtrend continuation when the current rally is over. This brings us to the next big question: Is it safe to assume that the role of the US dollar will not change significantly during the next few years? According to the recent research in the field (e.g., by William T. Wilson and Hyoung-kyu Chey), the dollar’s position as the international currency will not change significantly in the foreseeable future — the Chinese yuan may replace dollar as the main trading currency in the Asian region, and the euro may become even more dominant in Europe and surrounding countries, but the dollar will hold the global currency leadership. 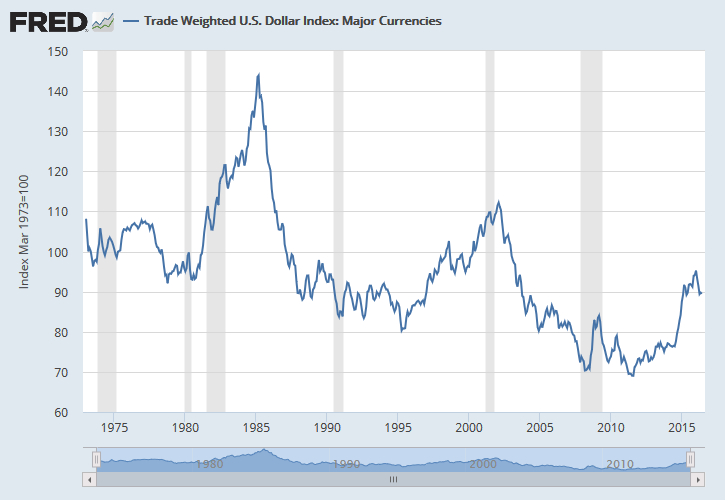 Larry Greenberg from CurrencyThoughts reflected on the dollar’s past corrections from 1980’s, offering his explanation of the fundamental reasons (or more precisely, lack of them) for a weak dollar when apparently the macroeconomic and political situation favored a stronger currency. It may be carried over to what we have today — the US economy recovering fastest of all developed nations, yet the currency seems to be turning towards downside. How to Trade Such Expectations? It means that when the current uptrend wave is over, the next downtrend wave will surpass August 2011 low of 69.02 (according to the non-price adjusted US dollar index chart). 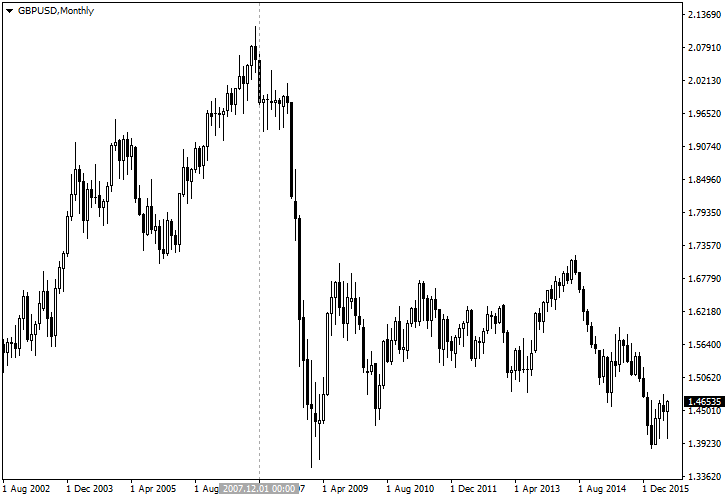 Will the same dynamics be present in the normal USDX? It probably will. After all, they are moving in close resemblance. However, there is a chance that the weakness in EUR (the biggest component of USDX) will outweigh the fall of the dollar against all other constituents of the index, preventing USDX from falling. Also, for an average retail trader, it is not quite easy to make a trade in USDX futures or CFDs with favorable conditions. EUR/USD long seems also wrong in this situation. As I have said, the euro is in a poor position itself. EUR/USD behavior will be largely dependent on performance of the base currency, making it a subpar choice to profit from the long-term USD weakness. Unless you believe that the ECB is going to shut down its quantitative easing abruptly and start raising interest rates in the next 12 months, buying EUR/USD is a less than optimal instrument in this case. 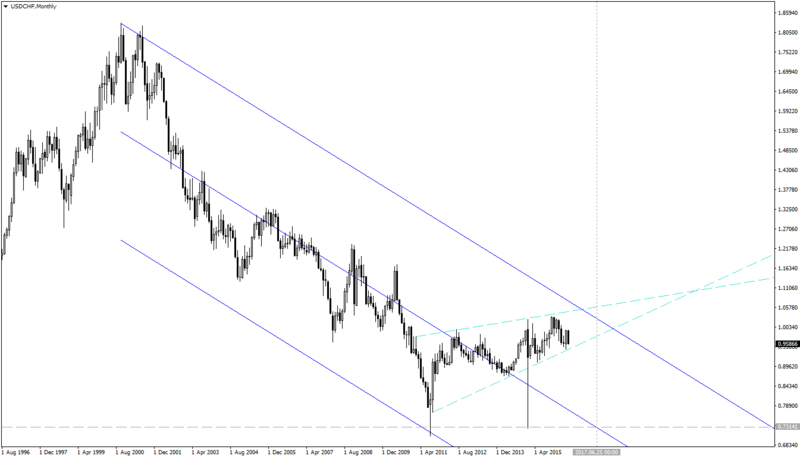 USD/CHF short looks like an interesting opportunity both from the technical and fundamental points of view. 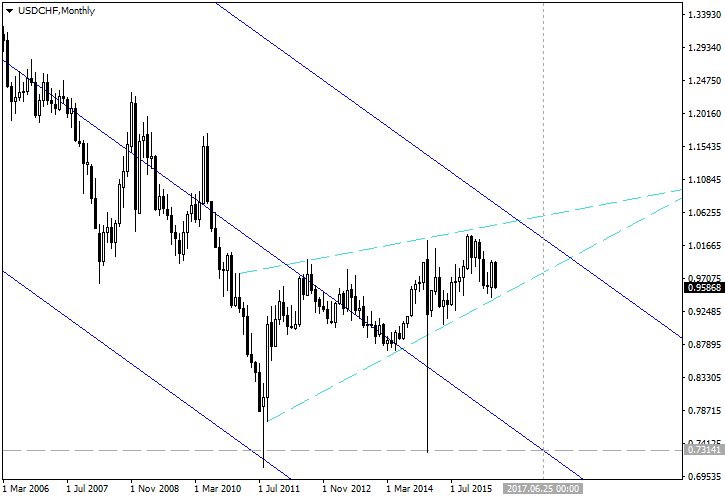 Technically, you can see USD/CHF rising in a wedge inside a long-term downtrend on the pair’s monthly chart. A downside breakout from a wedge is considered a reversal signal. 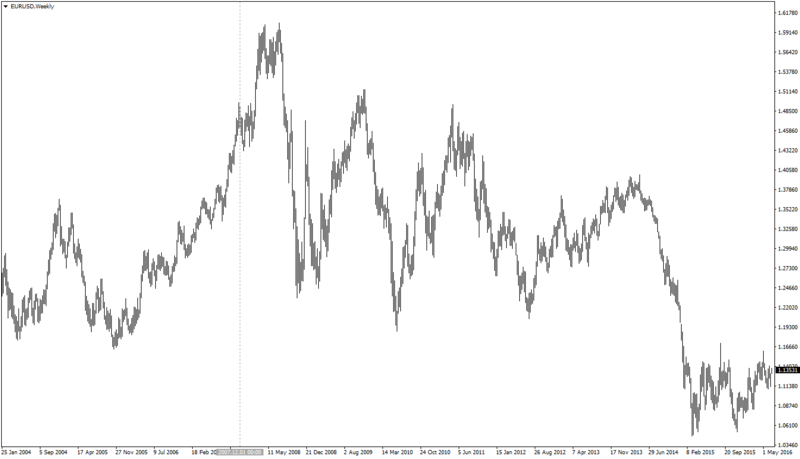 The chart also shows a linear regression channel built from the peak of October 2000. The vertical line shows June 2017. Horizontal line points at a plausible target in case of the wedge’s breakout. Breakout candle’s high could be used for a stop-loss in such a trade. Fundamentally, Swiss franc is a strong currency, which is performing rather well even during the times of negative interest rates, tremendous pressure from the central bank, and macroeconomic failures (low GDP and CPI growth). 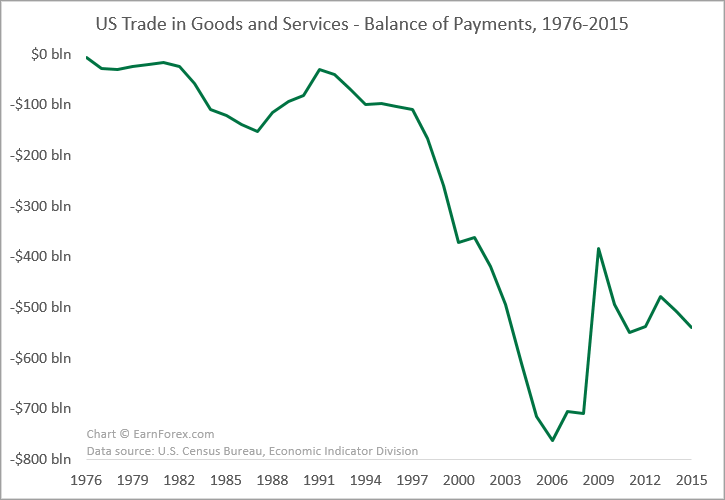 Still, Switzerland manages to run current account and trade balance surpluses. The foreign exchange reserves held by the Swiss National Bank continue growing — a sign that the central bank is intervening in the currency market to keep the franc from appreciating. But such a trade is good only if you can open it on a swap-free account as the overnight rollover interest for selling franc vs. the US dollar is rather high now with the negative rates in Switzerland. I would certainly consider longer puts (2 years), but 1 year is the longest binary option’s duration on the website I check (Binary.com). As you can see, the option valuation sets the probability of USD/CHF downtrend in the next year as pretty low. The problem with the binary options as a means of monetizing dollar weakness using USD/CHF pair is that a trader cannot set a binary option open order on the wedge breakout. 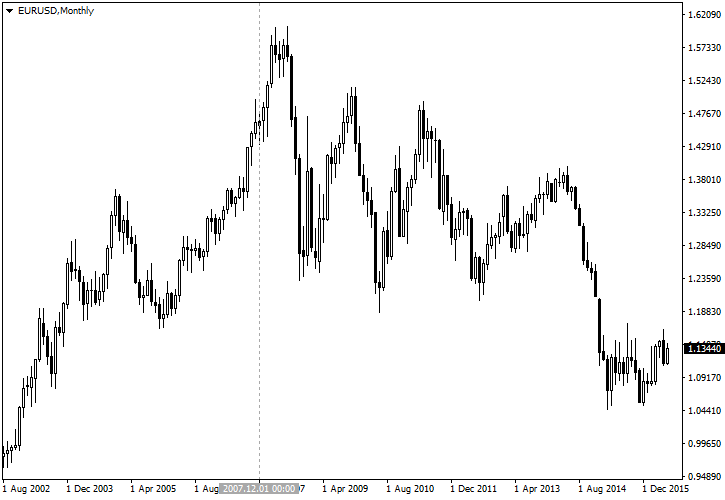 American style vanilla options on GLOBEX are not very useful for long-term USD/CHF trading. Currently, the exchange offers CHF/USD options with the maximum expiry on June 2017, and the lack of liquidity makes the prices uninformative. Erik Swarts from Market Anthropology is long-term bearish on USD. In his analysis, Erik employs the method of repeating technical patterns, which relate a dollar-negative story about the current set-up both in the trade-weighted index and in USDX. He is also expecting a major bearish breakdown in US Treasury Notes (30-years). The USD depreciation could be a plausible trigger for such an event in the bonds market as weakening currency will call for higher yields. Menzie Chinn of Econobrowser anticipated a 2-year USD depreciation wave to kick in after about a year following his April 2015 analysis. Although he notes that the basis for the analysis has too few observation points to draw any certain conclusions, it looks like we might already be inside the bearish part of the US dollar index cycle as of today. 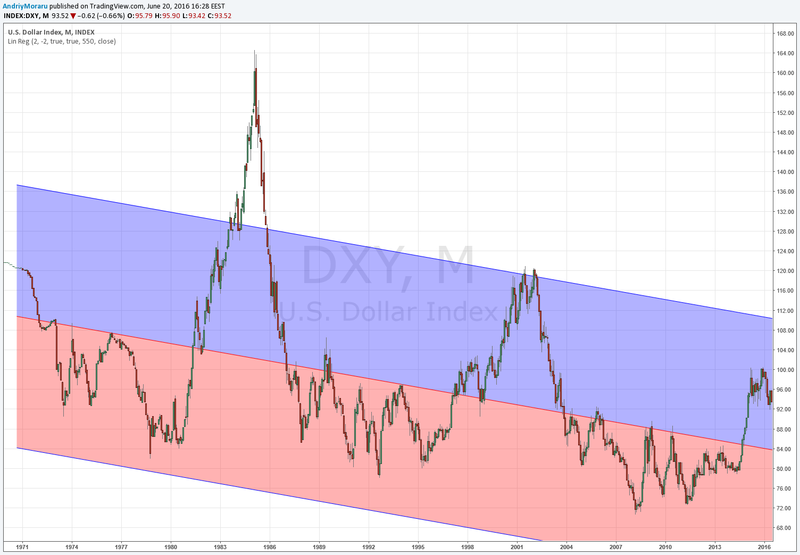 I am quite certain that the long-term downtrend in dollar index (trade-weighted one) is going to ensue quite soon. I am also going to put the money where my mouth is by going short USD/CHF with a broker that offers swap-free accounts. I would also buy a binary put with expiration in 2017. And how about you? What will be the US dollar's long-term trend in the next year or two? If you have any questions or comments about the long-term future of the US currency, please post them using the commentary form below. Which Currency Will Be the Biggest Forex Winner by 2020?